As the first effects of the incoming Hurricane Florence were felt as it barreled into Carolinas, Trump first suggested on Twitter that the "really large numbers" of reported deaths were inflated before blaming it on the opposition party. "Before, during, and after the two massive hurricanes, the President directed the entire Administration to provide unprecedented support to Puerto Rico", White House spokesman Hogan Gidley said. "What's the point? Honestly, you know?" As time went by it did not go up by much. Puerto Rico's governor raised the United States territory's official death toll from Hurricane Maria from 64 to 2,975 after an independent study found the number of people who died in the aftermath had been severely under-counted. "The idea that a year after the fact we're complaining - look, we've gone back in and done a really pretty incredible job of trying to rebuild", said Rep. Tom Cole (R-OK), noting the island's infrastructure was in poor shape before the hurricane. The report concluded that the original count was low because doctors and forensic pathologists in Puerto Rico didn't have guidance from state or federal officials to accurately count those who died. At a news conference to discuss hurricane response and recovery early Friday, House Democratic Leader Nancy Pelosi responded to Trump's tweet by saying, "Think about that, pray over that". "It was one of the best jobs that's ever been done with respect to what this is all about". 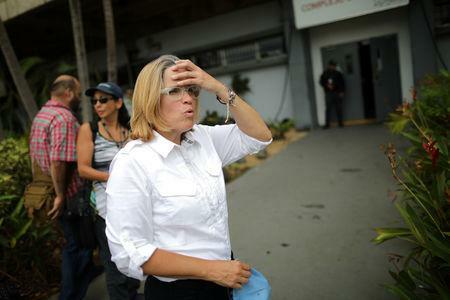 Carmen Yulin Cruz, the Democrat mayor of San Juan in Puerto Rico, called Mr Trump "delusional, paranoid, and unhinged from any sense of reality". "In a humanitarian crisis, you should not be grading yourself". He says, "This method was never done with previous hurricanes because other jurisdictions know how many people were killed". I hope you'll come back and read about the survivors, many of them still trying to piece their lives back together. Hurricane Florence is bringing widespread flooding, heavy rains and strong winds to many coastal areas of North and SC. Trump has maintained that the Hurricane Maria-related death toll in Puerto Rico was no more than 18, and Wired contributor Adam Rogers has stressed that Trump's claim is not only "preposterous" and "worse than a lie"-it is also anti-science".